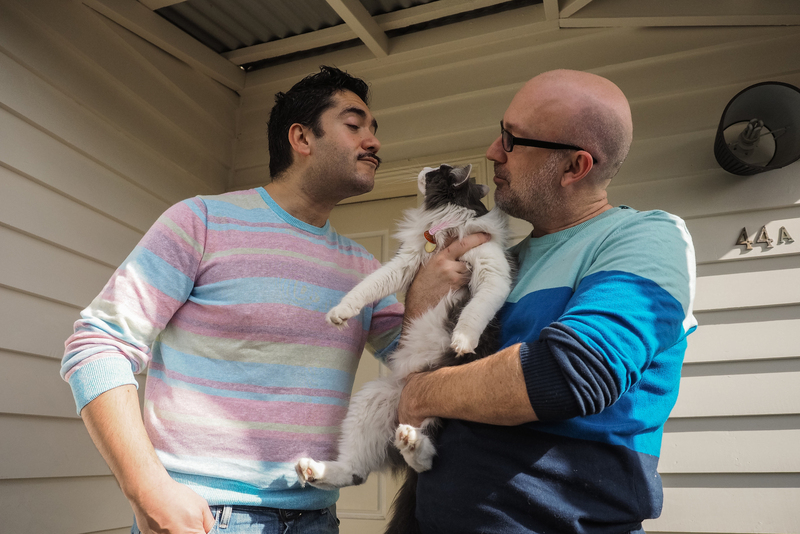 When composer and festival director David stepped into the Best Friends store in Maribyrnong and first laid eyes on two-month-old Smokey, his heart missed a beat. 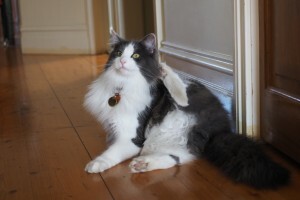 He and his partner – guitar soloist – Mauricio had spoken for some time about welcoming a new family member into their home, however, they envisaged his new member would be more along the lines of a dog. But there was just something about this little kitten that made them immediately smitten and who now one-year-on continues to sweep both music lovers off their feet. “It’s a matter of companionship – to care about someone in this way is very special and to look after her means so much.” – Mauricio on his adopted cat, Smokey. For our September Best Friends Forever feature we were very fortunate to be invited into Smokey’s loving home where we got to not only meet her in person, but found two truly devoted owners who love and cherish her. Listen to our interview with David and Mauricio online now! Read our previous feature Best Friends Forever: Lemon, Brooke and Darren. Find your fur-friend at Best Friends today! Over the last four years, Best Friends has found homes for over 2500 stray kittens from The Lost Dogs’ Home through our kitten adoption program. Passionate supporters of adoption Best Friends stores do not sell pets and are advocates of adopting not shopping. If you are keen on finding your purrrfect match like David and Mauricio have, visit a Best Friends store today. All kittens adopted through Best Friends are health checked, desexed, vaccinated, wormed and microchipped and can be adopted for a fee $170.